It's difficult to quote a magic number, a thermal level that guarantees a perfect finish. After all, there are literally thousands of powder coatings on the market. They're loaded with matte and gloss skins, with thermosetting and thermoplastic resins, and with all manner of technologically advanced flow parameters. Those oven-regulated temperatures must be applied in a consistent manner, but the actual quantity of thermal energy is not fixed. 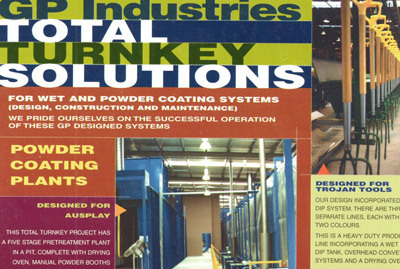 Check the manufacturer-quoted curing temperature before running a work cycle. If a guiding temperature level is required, a good rule of thumb is to raise the oven interior to 232°C during the preheat phase. 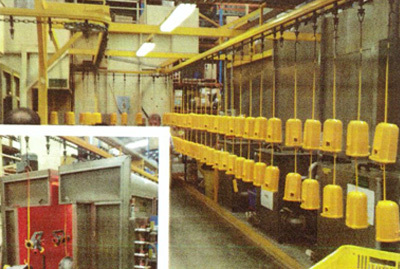 From here, read the instructions attached to the powder coating resin so that the required flow-out temperature is achieved. A 204°C curing temperature attenuates the heat envelope before the workpiece enters the baking hot interior of the oven. Again, this is rule-of-thumb thinking, for the exact curing temperature will be provided by the powder coating manufacturer. If that information has somehow gone astray, browse on over to the website for the thermal baking parameters. As a shortcut, something we almost always avoid, try emailing the company for that important baking temperature. Otherwise, your efforts are likely to cause an outgassing incident. In point of fact, too much heat will damage the workpiece, cause surface cratering, and there's that increased likelihood of surface pinholes to deal with after the part finally cools. One thing's for certain, the core weatherizing feature is drastically undermined when this heat tolerance band is subverted. Picture this work as a tightly controlled task, one that relies on sequential stages. 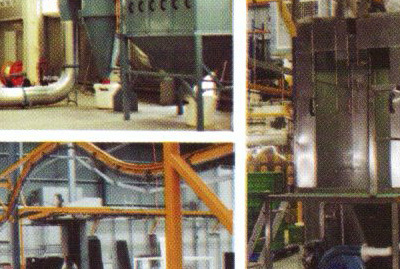 Roller belts and hooks carry the treated parts from one sealed booth to the next, then they deposit the coated part in a sealed curing oven. Heat distribution is essential here, as is the narrow heat tolerance zone that ensures a smooth, inviolable powder coating membrane. Apart from those two essential thermal characteristics, there's time, a minute-to-minute time-based curve that ensures absolutely pristine flow coverage, as set by that same curing oven and its digitally accurate thermostat.